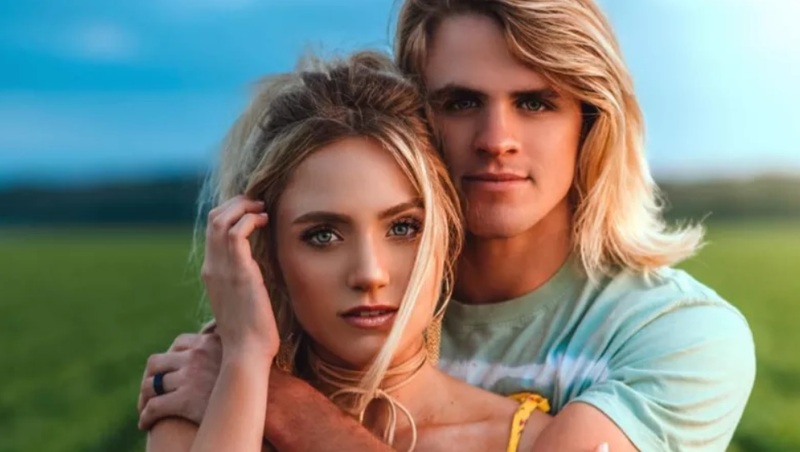 While residents of California were being mandatory evacuated and even losing their homes to wildfire, a YouTube couple was busy faking their own mandatory evacuation videos from their home in Orange County, California. The couple, Cole and Savannah LaBrants, was looking to capitalize on the state's emergency situation by cashing in on some ad revenue. The falsehood began on August 13 when the LaBrants posted a video titled, "WE LEFT OUR HOUSE BECAUSE OF FIRES IN CALIFORNIA." In the video, Cole said, "Savannah texted me saying that there’s a huge fire right by our house, and we might need to evacuate." They then cut news clips of the Holy Fire which is responsible for destroying over 22,000 acres and 20 structures. The video also shows Cole filming long angle shots of a fire while he is driving. "I think it’s, like, four miles away," Cole says. "And we just got an evacuation thing." A pregnant Savannah nods her head in agreement. "Hopefully we never have to upload this, but if we do, then you guys kinda saw what happened," Cole adds. Cole goes on to explain how he packed a bag full of essentials, which consisted of only a camera and a laptop since they may not be able to return to their home. They also had packed two suitcases for their family. Before they leave their home, Cole tells his viewers, "It smells like fire. It smells like a thousand people smoking cigarettes out here!" After picking up Savannah's daughter Everleigh from her grandmother's house, she assures her that they're, "going away from the fire so you don’t have to be scared anymore." The video goes on to briefly documents the family leaving Orange County on the way to San Francisco. According to the National Wildfire Coordinating Group website, the LaBrants home in Ladera Ranch is not one of the communities listed as an evacuated area for the Holy Fire. Neighbors told Fox 11 that they never received mandatory evacuation orders and they found the LaBrants video upsetting. One neighbor said, "I just think it’s really sad they would exploit a situation that’s as serious as a fire that so many people were evacuated just so they could get more likes or more hits on their channel." Another neighbor used Twitter to express their opinions on the couple's video. I pray for all in California!